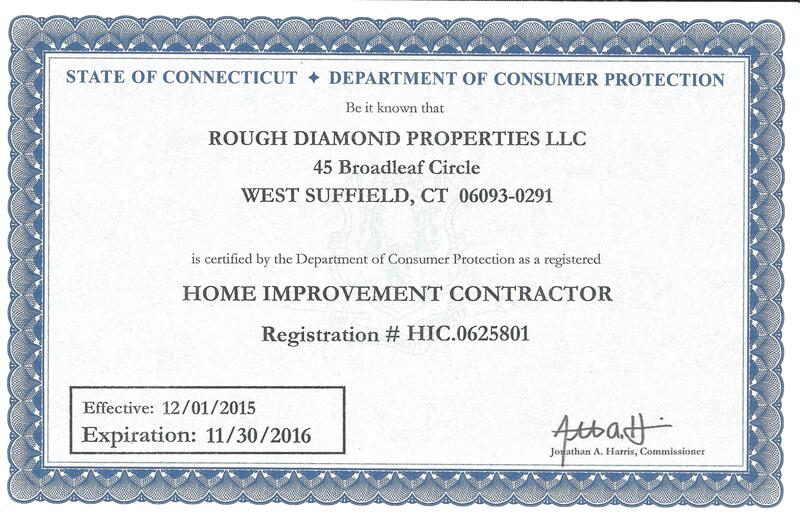 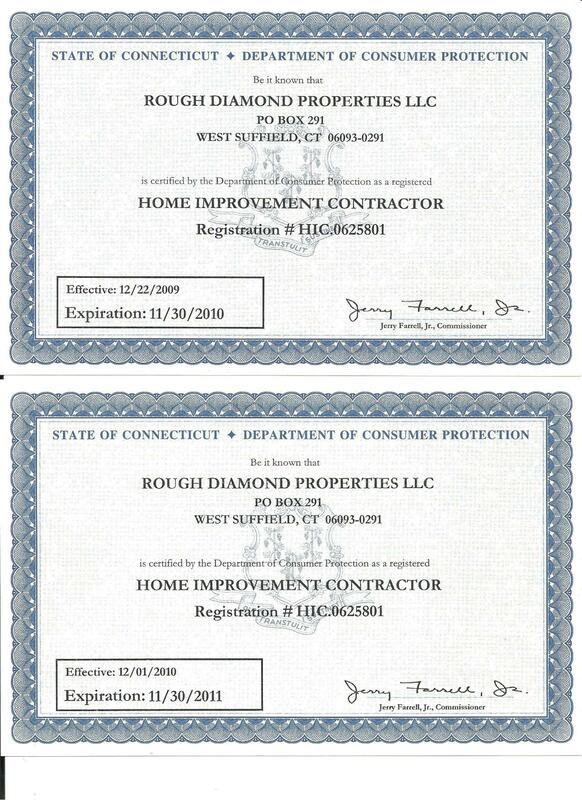 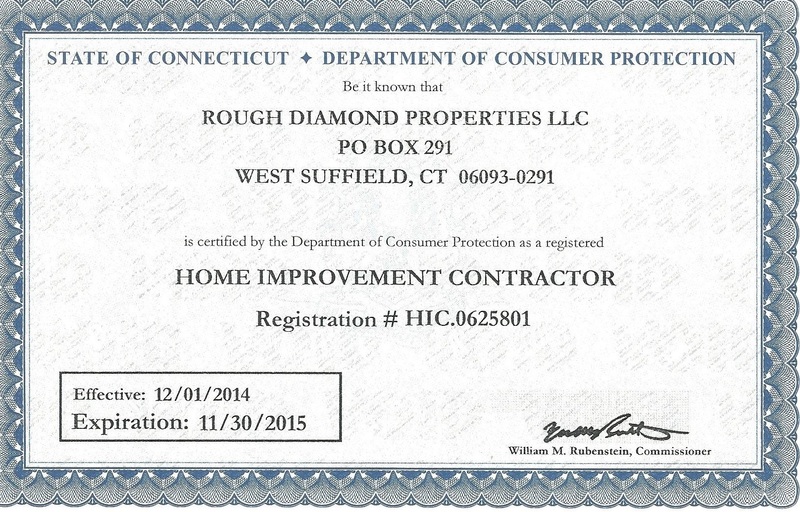 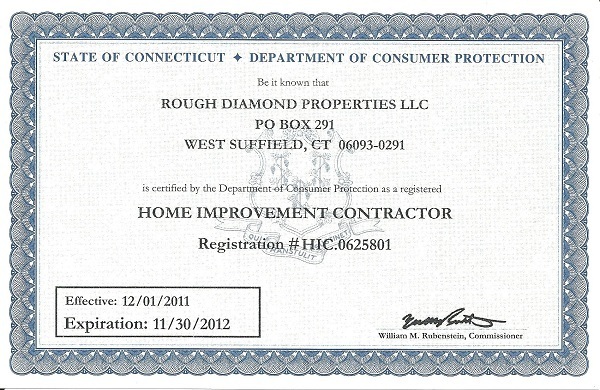 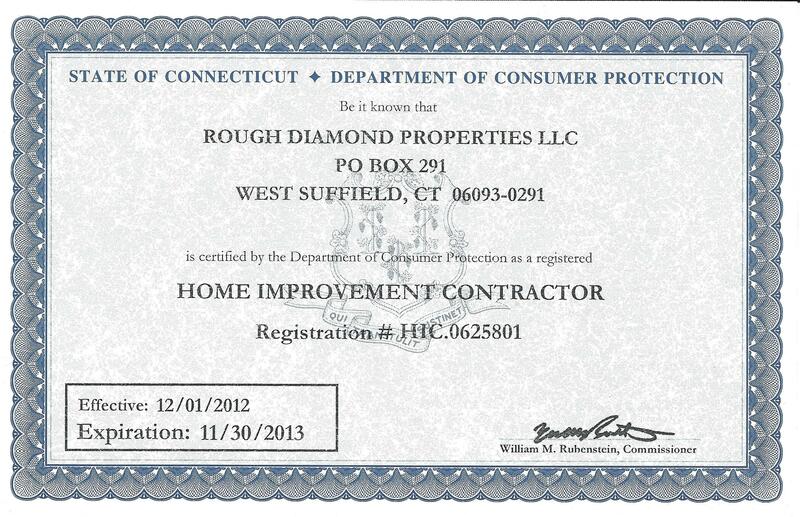 Rough Diamond Properties is a Connecticut Department of Consumer Protection Registered Home Improvement Contractor. 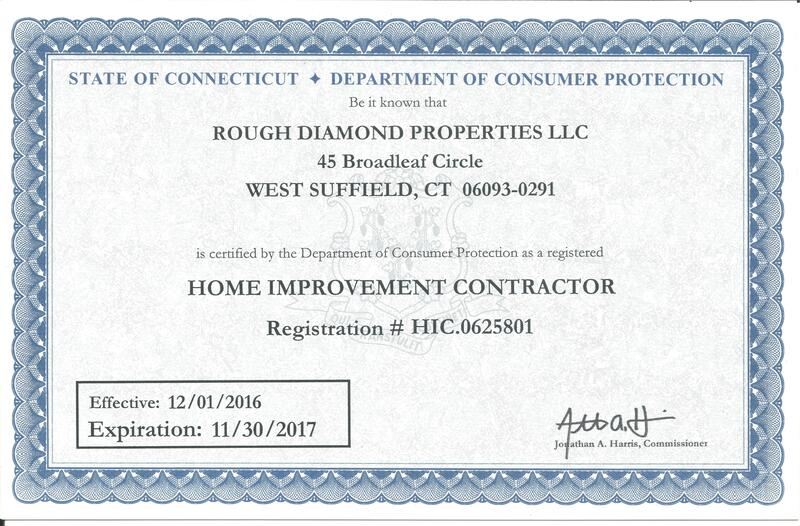 Before hiring any home improvement contractor, we strongly recommend you verify they are licensed with CT Department of Consumer Protection to protect yourself. 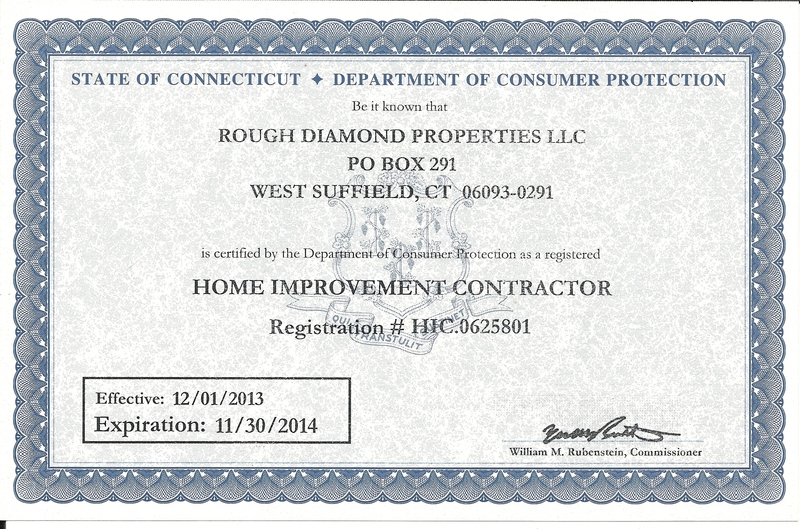 Contractors can be verified at the CT Department of Consumer Protection website.